Mmmmm, what a fun treat! 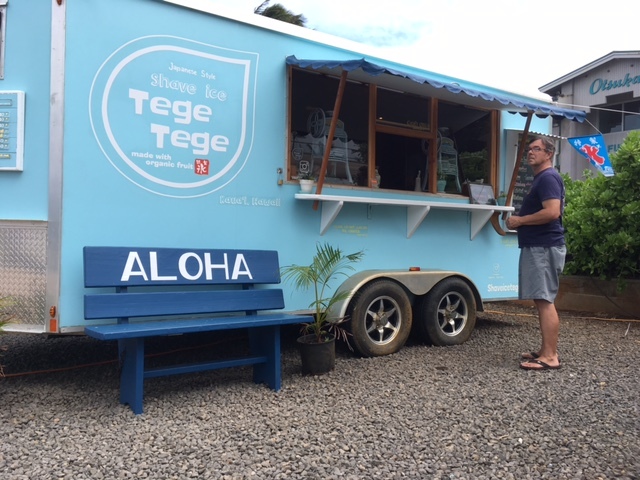 This shave ice was very, very, very good. It’s too expensive for more than an occasional treat, but definitely where we’ll go when we want to spoil ourselves. Yum! 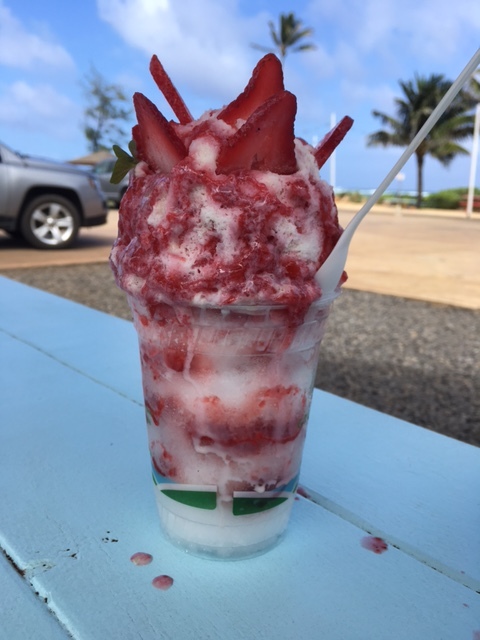 The strawberry shave ice looks divine! I drove by a Hawaiian Shaved Ice place yesterday and thought of your ‘Shave Ice Challenge’ I thought about stopping but I’m sure it would just be sickly sweet syrup on some ice chips. 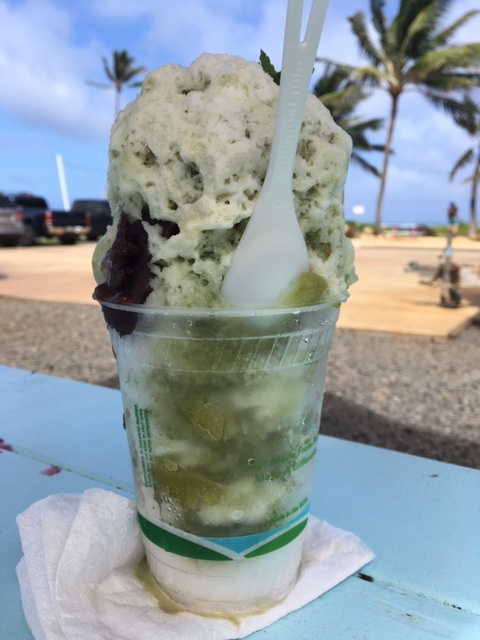 I keep hearing about shave ice places back on the mainland – I never saw one; it was always just snow cones. As long as they shave the ice versus crushing it, you should be OK though. 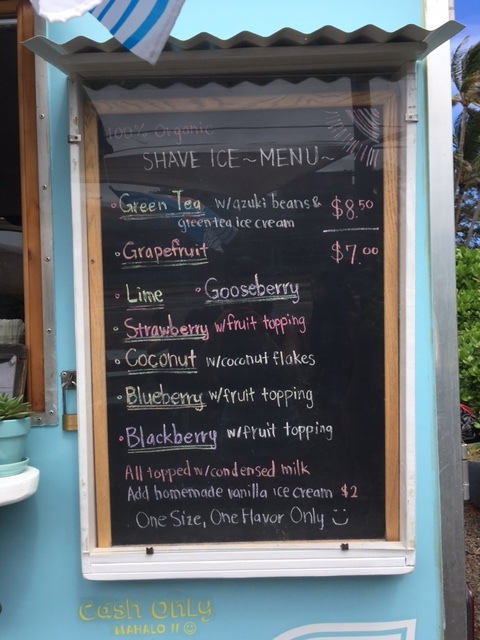 Stop back and see what flavors they have – nothing beats a shave ice on a hot day! So we’ll be stopping by there with you next time we visit! 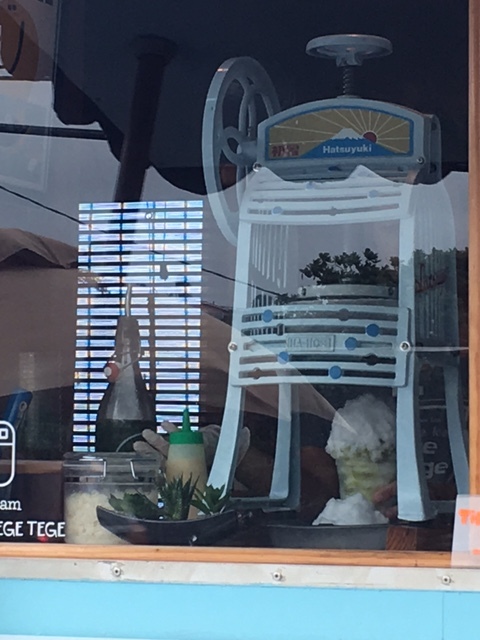 We can have brunch at the Kountry Kitchen, stop at Tege Tege for a shave ice, and then hike out to the Pineapple Dump to work it off!